Wireless alarm keypads are typically used with security systems as a way of providing a user with a secondary point of access. A user can put their wireless alarm keypad in a separate area of their home or business so that they have another location for arming and disarming. Check out our selection. A wireless alarm keypad is used to provide a point of access for a security system. In most cases, a wireless alarm keypad will connect with a wireless security system so that it can be used as a secondary access point, with the security system itself being the primary access point. This can be useful for situations where a user wants to have a second location inside their home or business where they can control their security system. The majority of wireless alarm systems are very user-friendly, and they make for excellent primary controllers. However, if a user want to add a second point of access, they will need to use a wireless alarm keypad. This device will connect with the security system wireless in order to provide much of the function as the system itself. This can include arming and disarming the panel, making programming changes, setting up new sensors and more. 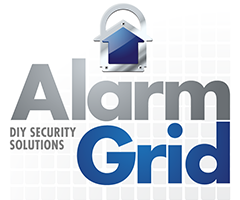 The capabilities of a wireless alarm keypad will vary between different models, with some being only able to arm and disarm, and others having a wider range of functionality. Although a wireless alarm keypad may look an actual security system, it is important to remember that it will not function on its own. The security system itself is the “brains” of the setup, and a wireless alarm keypad will need to system in order to function. The wireless alarm keypad only serves to control the alarm system, and without an alarm system to control, it is completely useless. This is even true for wireless alarm keypads that mimic the screen of the security system, such as the Qolsys IQ Remote. Many users choose to put their wireless alarm keypad in the front of their homes, while the alarm system itself is hidden somewhere inside the house. This is because if the house is broken into, the intruder will most likely only see the wireless alarm keypad and not the security system. Most intruders will think that the wireless alarm keypad is the security system, and they will think that by destroying the keypad they can prevent police dispatch. But since they will only be destroying a secondary controller, that is not the case. Additionally, most modern security panels feature advanced protection logic, and even if the system were to be destroyed, a signal would still be sent out to the monitoring station for police dispatch. However, keeping the keypad up front is still ideal, as a security system is usually more expensive to replace than a wireless alarm keypad. When selecting a wireless alarm keypad, you will want to keep in mind that most keypads are specifically designed for use with certain systems. For example, the 2GIG SP2-GC3 is designed for use with only the GC3 system. Even though it is a 2GIG product, it will not work with the 2GIG GC2. Meanwhile, the Honeywell LKP500 can only be used with the Honeywell Lyric Controller or the Lyric Gateway. Therefore, you want to be very careful when purchasing a wireless alarm keypad so that you get one that works with your system. Does the 5828 Have Volume Control? How Do I Mute a Honeywell 5828V Wireless Keypad?